A little late for Christmas this year, but on time for the New Year; I wanted to post some Southern Holiday food traditions and their origins. This time of the year holds so much meaning and much of what we do are traditions passed on from generation to generation. Some of these traditions have origins from the War for Southern Independence and before, but over time the true meaning has been lost for some. Where did the foods we eat come from? Despite liberal PC Southern holiday foods are not all about soul food, but stem from many European traditions and humble Southern beginnings. These modest foods have monumental meaning for a Southerner for the New Year. The tradition of eating black-eyed peas and greens on the New Year is believed to date back to the War for Southern Independence. Because the land and the people were devastated by Sherman’s troops who ignored black-eyed peas and greens as animal fodder it became a sustaining staple. These enabled Confederates to survive and are now eaten to represent thanksgiving and a prosperous future. Southern folklore is that black-eyed peas are one of the first foods eaten on New Year’s Day in recipes like Hoppin’ John. It is said that the French created the pecan pie, or New Orleans pecan pie. After settling in New Orleans the native Indians familiarized them with the pecan, which they then mixed with syrup into a pie and is now often related to the holiday season. Originating from a pagan tradition of burning a log at the winter solstice to signify the return of the sun this tradition was embraced by Christians who decorated the log before burning it. Napoleon issued a decree that Paris homes must keep their chimneys closed in the winter and bakers created the buche de Noel, or the Yule log. The tradtion was brought over by French settlers and continued in America. Americans put their own spin on it when faced fireplace free homes in the 1970’s because of the introduction of the heat pump and would tune their televisions to a TV network who played a looped video of a burning fireplace on Christmas Eve. This was where we got the Yule log DVD of today. What Southern holiday food traditions do you have in your home and where did they come from? Share with our Southern community your stories and favorite recipes. This is a very interesting story from the National Review and worth while reading. What is most interesting is the fact that just about all the ills which ebb and flow in the U.S. come from liberals in the Northeast, Chicago and West Coast from Los Angeles to Seattle. The corruption and immorality in DC and Wall Street is staggering. Given the Libs have little or no real moral compass they think things will continue and time and time again, hardworking middle America largely Southerners and families from the Plain States, pull the nation back from the abyss to our more traditional heritage and values. “The current debt, recession, wars, and political infighting have depressed Americans into thinking their country soon will be overtaken by more vigorous rivals abroad. Yet this is an American fear as old as it is improbable. In the 1930s, the Great Depression supposedly marked the end of freewheeling American capitalism. The 1950s were caricatured as a period of mindless American conformity, McCarthyism, and obsequious company men. By the late 1960s, the assassinations of John and Robert Kennedy and Martin Luther King Jr., along with the Vietnam War, had fueled a hippie counterculture that purportedly was going to replace a toxic American establishment. In the 1970s, oil shocks, gas lines, Watergate, and new rustbelts were said to be symptomatic of a post-industrial, has-been America. At the same time, other nations, we were typically told, were doing far better. In the late 1940s, with the rise of a postwar Soviet Union that had crushed Hitler’s Wehrmacht on the eastern front during World War II, Communism promised a New Man as it swept through Eastern Europe. Mao Zedong took power in China and inspired Communist revolutions from North Korea to Cuba. Statist central planning was going to replace the unfairness and inefficiency of Western-style capitalism. Yet just a half-century later, Communism had either imploded or been superseded in most of the world. After several failed attempts to annex with the United States, due to political opposition from Northern factions, Texas was finally granted annexation on December 29, 1845. Texas did not have the ability to enforce its Rio Grande border, however the United States military did. Mexico dissolved their political relations with US over the annexation Texas. It seems a shame that the Republic of Texas was dissolved, however her spirit and heritage is alive and well. 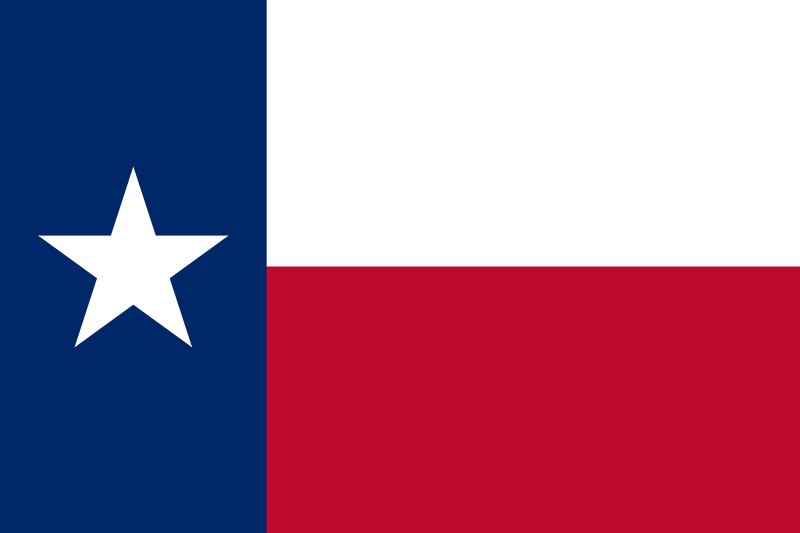 Congratulations Texas on 165 years of statehood. For 13 days in 1836, around 200 Texas defenders held the Alamo from over one thousand of General Santa Anna’s troops. The defenders, William Travis, Jim Bowie, and Davy Crockett, would die fighting overwhelming odds for freedom. Perhaps the biggest media story of 2010 was the influence of Tea Party voters on the congressional landscape. The new congress comes to Capitol Hill with a mandate to end profligate spending and restore fiscal sanity, we are told. But when the House and Senate convene in January, the newly elected members will face tremendous pressure to maintain spending levels for entitlement programs. Even the most modest proposals to trim Social Security or Medicare spending will be met with howls of indignation and threats of voter revolt. Legislators who propose any kind of means testing or increased retirement ages can expect angry visits from senior citizen lobbyists ready to fund a candidate back home who supports the status quo.